If you are a grilling purist, or just enjoy using a charcoal grill once in a while, we offer several options. 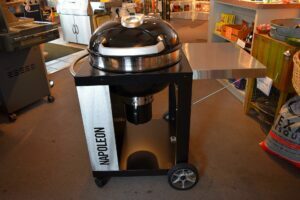 Primo and Napoleon make excellent units and we stock both brands. Charcoal grills also allows you to add different flavors of smoke woods, adding subtle variety of flavors to your food. We stock chips and chunks, in many flavors. Remember, NEVER use lighter fluid or quick start charcoal in your grills. We carry Humphrey’s Premium All-Natural hardwood lump and briquettes. 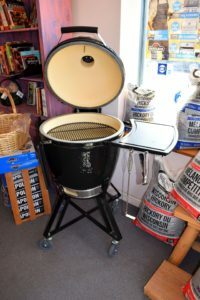 We also have various starting methods: from a tried-and-true charcoal chimney, to Fire Starters & Fatwood, to Grill Pro electric starters, and Homeright’s Electro-Light.